We learn, in the normal run of things, that we have to part from our parents and their generation, whether early or late in our own lives. But somehow we nourish the belief that our friends are going to be with us until a kind of joint ending occurs. It's a deluded, dream-like state, this, and all too often we are forced, joltingly, to wake up and cope with what we consider to be an unnatural death. It has been written that our losses are like worm-casts, growing beside us and accumulating for as long as we ourselves live. But I think losses are more often like looming mountains. Writer Beverley Farmer died on 16 April. She and I had been friends, albeit usually long-distance ones, for more than 30 years. It seems to me now that we had so much in common that friendship was almost inevitable: it was just a matter of timing that first meeting. Much of an age, we had been brought up in a similar way, I deduced; we attended the same university college, although not at the same time, and her most influential teacher became my university mentor. We married Greek men, and Beverley's son is the same age as my eldest son; eventually we both, to our great joy, acquired granddaughters. As well, we were both published by that trail-blazing firm McPhee Gribble. And we were letter-writers. Significantly, each of us had experience of village in life in Greece, although Beverley lived here long before I arrived, and her village is in the north of the country, while mine is almost as far south as it is possible to go on the Balkan Peninsula. For that reason we never met in Greece, although there were phone calls, and there were always letters; we met instead in Melbourne, Geelong, Point Lonsdale, London, Oxford, and Canterbury. The memories come rushing back. A day in Oxford, among the dreaming spires, where Beverley, a gifted photographer, took a great many pictures. A visit to Canterbury Cathedral where, used to free and easy Orthodox services, during which people stroll in and out of church, we were startled to be met, once a heavy door was opened, by a figure clad in deep black, cadaverous of mien, and sepulchral of voice. 'Evensong is in progress,' he intoned, and there was no invitation to enter the hallowed space. 'Straight out of Trollope,' remarked Beverley, making me laugh. (We laughed a lot during our times together, I recall.) We waited outside, and eventually toured the Cathedral, standing silently at the scene of the martyrdom of St Thomas a Becket. And Beverley took more photographs. "In a letter I have just re-read, Beverley refers to Greece as 'that bitter place that matters so much'. How accurate such a description is." Wherever and whenever we met, we talked about Greece, about which country we felt deeply ambivalent, despite our shared love of its landscape, lore, and history. In a letter I have just re-read, Beverley refers to Greece as 'that bitter place that matters so much'. How accurate such a description is. Greece was, however, an early inspiration and source of creativity for her: her early stories often centred on young Greek-Australians and the shock of the old that they experienced in their harsh ancestral villages where there are still few filters. 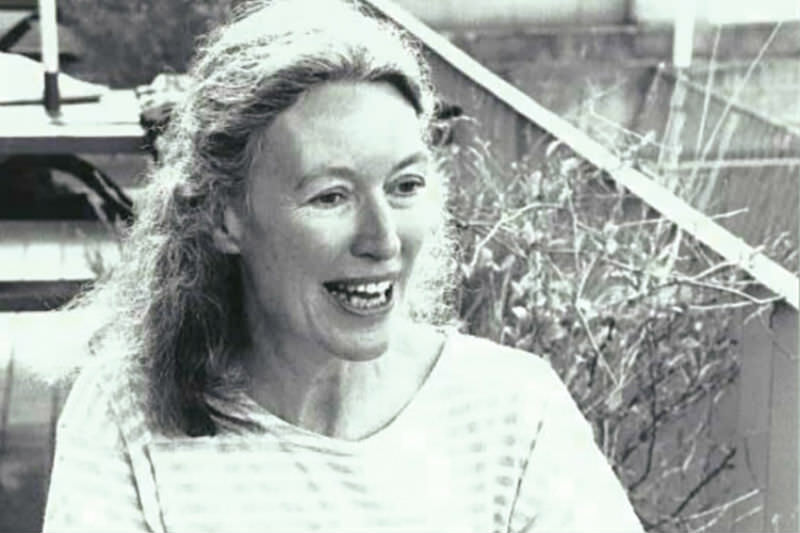 Beverley herself was a deeply private person, one of shining intelligence, dignity and grace, who was passionate about writing, and a perfectionist in the practice of it. She was also a mighty reader, reading about 250 books a year. Always interested in the whole business of creativity, she explored the various forms of it in A Body of Water, which is a writer's notebook studded with short stories. This volume was published in 1990, and such exploration continued: 15 years later The Bone House consisted of three long essays (supported by a dauntingly long bibliography) that are a meditation on the life of the body and the life of the mind. One of the questions that emerges from the work is: What does art know that we do not? Beverley matured into a great prose stylist, which may be one reason she never received the wide attention she so much deserved. The mainstream reader, most often wanting page-turning action, does not always appreciate nuance, subtle manipulation of language, and the expansion of prose into poetry. Her peers, however, appreciated Beverley and her writing: she won the NSW Premier's Award for Fiction in 1984, The House in the Light was shortlisted for the Miles Franklin Literary Award in 1996, and she won the Patrick White Award in 2009. Beverley's last book was This Water; Five Tales, written during the last phase of her long illness. Her prose style has been praised as being even more precise in this book, which consists of a re-working of archetypal legends about women. It was long-listed for the Stella Prize. Lyn Jacobs of Flinders University wrote recently that Beverley's death means that Australian literature has lost a remarkable voice. How absolutely true. And I have lost a friend. Gillian Bouras is an expatriate Australian writer who has written several books, stories and articles, many of them dealing with her experiences as an Australian woman in Greece. It was Beverley FARMER's collection of short stories, Milk - with their Greek reference - which first drew her writing to my attention - at around the same time as I had found your own writing, Gillian. It was 1984. Morris Lurie hove into view (Flying Home) and Angelo Loukakis drew a beautifully encompassing definition around what he was redefining as Australian Literature - of what Judah Waten and Mena Kashmiri Abdullah (with Ray Mathew) were already doing. Imbuing this place and that place there with references which bound us all tightly within that embrace. Glen Tomasetti, too, in Melbourne - wanting her books to be translated into Greek for her fellow citizens who had arrived FROM Greece! And on my bookshelf alongside is Nadia Wheatley and Zeny Giles. Your tribute to Beverley is touching - as those of us who reached that age when friends go tripping off this stage of life likewise do - endeavouring our best to encapsulate what they have each - in their various ways - meant - and still do mean to us. I will see Sydney poet and translator (of Women of the Sun, into Greek) and memoirist Yota Krili - early next week - she promises me a real Greek coffee (briki and all) and we'll hold our cups in salute to BF. What a beautiful and heartfelt piece. I hope I will have the opportunity to read her work. Gillian my sympathy at the loss of your friend. But the memories are there inside of you. I feel I would have liked Beverley too as you describe her so well. Thank you, Gillian. Beverley and I shared a stage, and an exploration of Norse mythology and poetry, many years ago at a Brisbane Writers Festival. We lost contact after a while but I very much enjoyed her company and her work, and I am saddened to hear of her death. Beverley was a writer of the utmost integrity and talent, and that is why I believe her writings will survive her. Her observation about Greece: "that bitter place that matters so much", also rings true for me. Yes, Jena, “that bitter place that matters so much” is only comparable to George Seferis’ “Wherever I go, Greece hurts me”. It is for such utterances that we do love and appreciate writers for speaking with such eloquence about what is in the hearts of many of us who have known and loved more than one country. Thank you, Gillian, for your wonderful tribute to Beverley Farmer, a writer who, like you, and Patrick White earlier on, put Greece in the Australian literary landscape. Gillian this is such an evocative tribute. I too believed Beverley would be there forever,and in fact did not know of her illness. We only met once or twice, but she was so gentle, and in terms of her place in our culture, in my world, her place as a writer for me, I always felt she was a big sister. So beautiful. Thankyou Gillian for your words regarding the untimely death of Beverley Farmer, a dear friend of over 30 years. It was such a shock to read of her passing as we had lost contact due to her illness. I am hoping there will in time be a more public celebration of her life. I have all her books and we corresponded regularly and met when I was nearby ay Pt Lonsdale, Carlton or Lorne. We walked over the beach and Swan Bay, we exchanged books and attended the Zen Bhuddist retreat she wrote of in Body of Water. She will be so missed by her reading public and friends. I remember holding your hand, brown against white. Holding it so tight, so the waves of dirty looks and hushed giggles didn't wash my tiny body away. They asked what a 'wet back' was doing with a little white girl. They asked what it was like to have a dad that talked so funny. They asked things I didn't know the answers to. The moment in Power Rangers when Cam Watanabe turned into the Green Samurai, I looked at my son's face and could sense what it meant to him. Pop culture validates or marginalises, depending on who is in the frame. Who gets to be seen and heard, and under what circumstances, are political decisions, whether consciously or not.